Just when the entire world is getting “solarized“, has crept in another issue regarding the quality standards of the solar modules used. The manufacturers in the race to cut costs have started compromising on quality of the solar panels. It has been reported by many testing centers and labs that companies with big names and repute have also started resorting to cheap raw materials to cut their cost of manufacturing. Solar Panels have now become a part of one’s living especially in the Western world. In these days when the price of electricity and energy is constantly increasing, this is an amazing fact and the decreasing cost of Solar Energy has made it the biggest advantage of using Energy from the Sun. 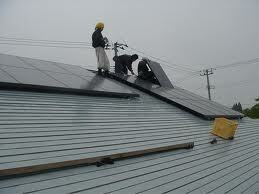 Solar panels are a collection of solar cells arranged in a row, which generates electricity when triggered by Sunlight. If anything goes wrong in the solar panel working, the entire construction may be susceptible to accidents. Solar installations and solar power plants are increasing at a manifold rate. The US market alone showed a tremendous rise in PV installations from nearly 0.1 GW in 2001 to 7.2 GW in 2012 (Source: US Solar Market Insight). Germany, Italy, Australia and even Indiacontinued increasing their solar installations. The prices of solar prices kept slashing from $800 in 2008 for a standard 200 Watt Solar Panel to 150-200$ currently. In an effort to be among the cheapest solar panel brand, the companies try and reduce their cost of production by overlooking the quality requirements and also using cheap materials. Since China is the country which is the largest supplier of cheap solar panels globally, it is resorting to all such means to cut costs. Many testing centers have confirmed that shortcuts are taken, cheap materials are used, defect rates are high and also companies are outsourcing their manufacturing to cheap workshops secretly. Read Cheap Solar Panels – Five Most Affordable Solar Panel Brands on GWI. There have been recent incidents that talk about the faulty solar modules and their installation. Dissigno projects saw several solar panels failure. The rooftop installation in Inland Empire region in Los Angeles also witnessed solar panel failures. “We have inspectors in a lot of factories, and it’s not rare to see some big brands being produced in those smaller workshops where they have no control over quality,” said Thibaut Lemoine, general manager of STS Certified, a French-owned testing service. “Based on our testing, some manufacturers are absolutely swapping in cheap Chinese materials to save money,” Jenya Meydbray, chief executive of PV Evolution Labs, a Berkeley, Calif., testing service. “There are a lot of shortcuts being taken, and unfortunately it’s by some of the more reputable companies and there’s also been lot of new companies starting up in recent years without the same standards we’ve had at Suntech,” said Stuart Wenham, the chief technology officer of Suntech, which is based in Jiangsu Province in eastern China. While the initial investment cost of solar installation may look high, you can look at electricity savings for 25 years as Solar Energy requires NO FUEL and very little maintenance as well. Solar Panels are already ubiquitous in places like Germany and Italy which have strong government support programs of Feed in Tariffs. With prices of energy increasing and Global Warming, its a matter of time when Solar Panels become as common as Lights in your home and offices. Hence the manufacturers need to be more alert and stringent quality control measures and inspection policies should be adapted during the manufacturing process. Much money and hope has gone in solar installations with a belief that these will pay off more in future.